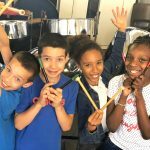 For August Bank Holiday 2018 RASPO performed in the famous London Notting Hill Carnival as part of an international collaboration with guest percussionists Ylê de Égbá from NE Brazil. 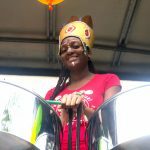 The orchestra joined the Ladbroke Grove procession of more than 70 floats to entertain millions of attendees with an exciting blend of Afoxé percussion and Calypso music. This short film shows RASPO preparing for Notting Hill Carnival and the benefits of working with CultureMix. Held each August Bank Holiday since 1966, the Notting Hill Carnival is the largest festival celebration of its kind in Europe. Every year the streets of West London come alive with the sounds and smells of Europe’s biggest street festival. 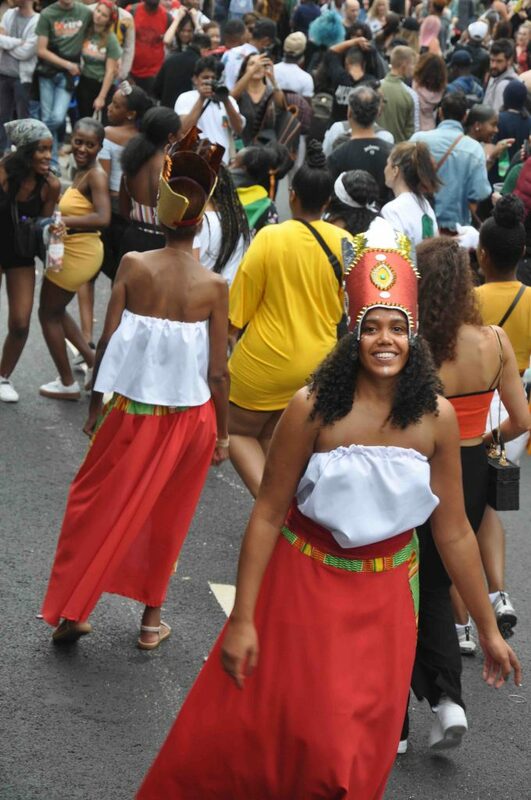 Twenty miles of floats, steel bands and vibrant colourful costumes surround over 40 static sound systems, hundreds of Caribbean food stalls, over 40,000 volunteers and over 1 million Notting Hill carnival revellers. 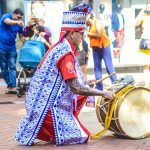 CultureMix Arts took Reading All Steel Percussion Orchestra musicians and costume masqueraders to London’s famous Notting Hill Carnival to take part in the procession and showcase Carnival of the World in collaboration with Ylê de Égbá from NE Brazil. The event was a triumph of excitement, enormous crowds and an opportunity for many of the group to have a first experience of Europe’s largest two day street event.